I like to start every new year with a brand new piece of writing so every autumn I put together a short-list of ideas for my next book and then watch for synchronicities to help me decide which one to go with. This year, as usual, life has given me some prompts. 2013 got off to a cracking start for me when I tutored my first ever Arvon course on ‘Writing for Children.’ I had never previously taught children’s writing because it seemed to me that writing for children was pretty much the same as writing for adults – all the elements of fiction such as plot, settings and characters work in the same way, and whoever you’re writing for you have to target your particular reader. But being asked to teach writing for children meant I had to really think about not only what is the same but also what is different, and teaching the course turned out to be pure pleasure. I enjoyed it so much that I wrote a new series of evening workshops on writing for children which I taught at the end of 2013. 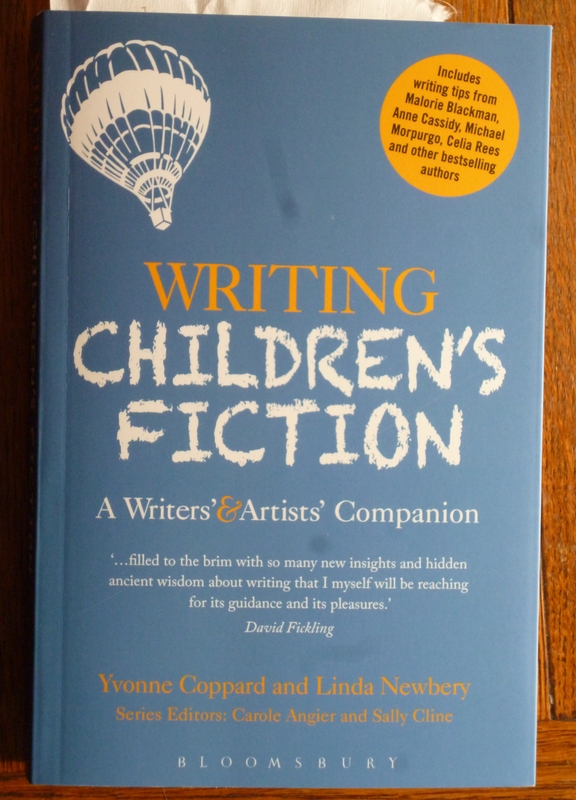 At the first session, I dug out various books I thought people might like to read, including the very latest book on writing for children, by Linda Newbery and Yvonne Coppard. 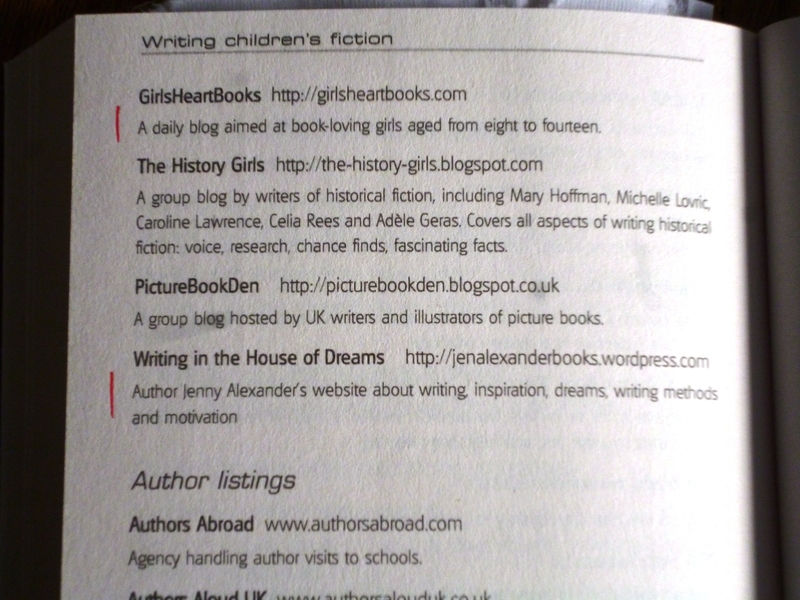 Flicking through the back matter for more ideas, I discovered that Writing in the House of Dreams is included in the recommended writing blogs, the only one by an individual among half a dozen group blogs. That felt most affirming! 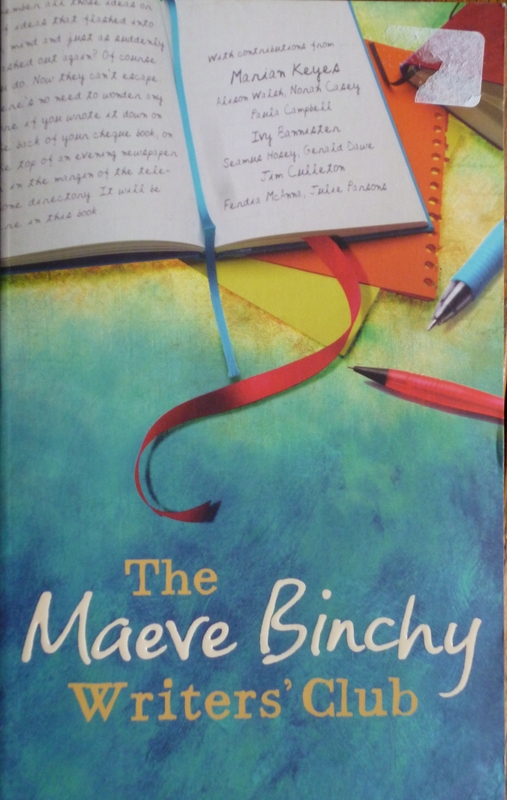 Then, at the last workshop session, one of the participants mentioned that she’d seen my children’s book, ‘How to be a Brilliant Writer’ in Maeve Binchy’s recommended reading list at the back of her book on writing. One of the ideas I’d been mulling over for my next project was a book for adults about writing – just writing, not in relation to dreams. But although I’d wanted to do that for ages, it didn’t seem sensible because there were already so many books out there by writers about writing . I always follow life’s promptings, however, so with a gleeful click of the heels I’ll be up, up and away writing an adult book about writing to go with my children’s one in the New Year. The various other projects I’ve been mulling over will have to wait until their time is ripe. What new projects are you looking forward to in 2014? Have you felt prompted by life? So Christmas is nearly here, this great celebration of loving and giving – the perfect time to talk about the third gift that writing gives us, the gift of empathy. A writing game I sometimes play when I’m trying to bring one of my characters to life is body-swapping! I pick a stranger – in the bus perhaps, or the supermarket – then I try to become that person. I feel the wrinkles on my skin, I walk with a limp, I look at my long scarlet fingernails or I run my fingers over my shiny bald head. Right now, I’m being a squirrel! I like to think, as well, that ‘becoming’ other people, or creatures, also helps me to understand them. In fiction, we create characters and give them big problems to deal with. There’s always going to be struggle, conflict, pain because if everyone’s happy there’s no impulse for change, no movement, no story. As we imagine what it feels like to be homeless, or orphaned, or bullied, or bereft, we feel everything our character is feeling – we have to, because otherwise we can’t know how they will behave, and our story will feel hollow and unconvincing. It takes emotional toughness to do this work, and everyone has to find their own way. I personally have usually opted to put my characters in situations that are difficult but not overwhelming, and I use humour to leaven the hard parts. If my reader – and I – feel like crying at times, I want to make them feel like laughing too. 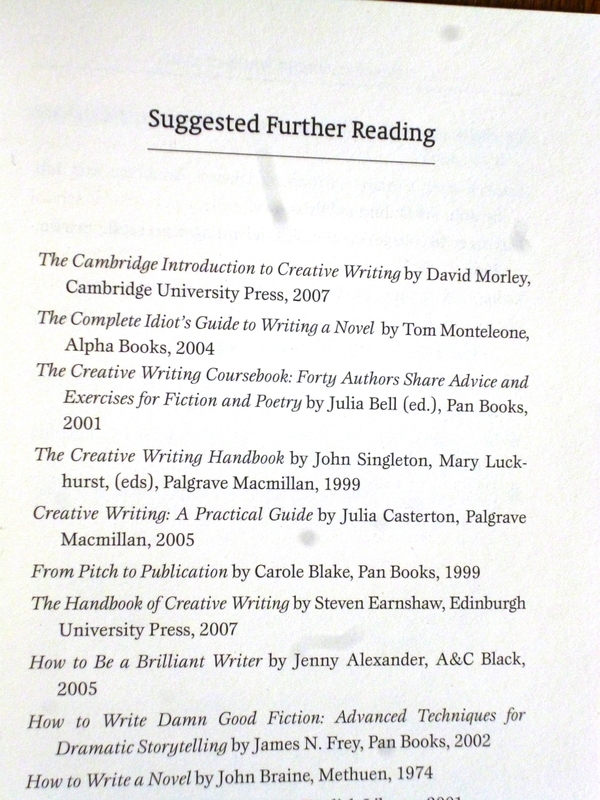 Other authors I know are braver and tougher than me, going into dark areas of experience such as criminal gangs, drugs, self-harming, eating disorders, abuse – which are part of real life that older children need to know about, and reading serious fiction by responsible authors is probably the safest way of gaining this knowledge. Writers are used to imagining another person’s story, looking beneath the surface, feeling their joys and pains. We do it in imagination, and that spills over into real life. I think that’s why most writers I know enjoy hanging out in cafes on their own, people-watching. I like to think, as Enid says, that ‘becoming’ other people might help us to learn to be less quick to judge and more aware that sometimes it can take real courage and faith to get through the vicissitudes of even an ordinary life. So there they are – stillness, awareness, empathy – the three greatest gifts I think I get from writing. What does writing give to you? What’s the point in self-publishing? One of the big changes I’ve seen since I started in this business is that where previously the decision to take on a book lay with editors, who were generally driven by a passion for reading and discovering interesting writers, now it rests firmly with marketing departments. I first came to this realisation a few years ago when I proposed an idea for a children’s series to an editor I’d worked with, and she was blown away by it. Bursting with enthusiasm, she asked for six story outlines, then for twelve, to take to the acquisitions meeting, but the series was not taken up because she couldn’t persuade the marketing department. When she told me how disappointed she felt I realised how tough this situation might be for editors as well as authors. The thing to bear in mind is that marketing people will not usually have read your manuscript, so your book succeeds or fails on how well they think the concept and title will sell. A yes or no doesn’t necessarily reflect the quality of your writing, but just how easily it will fit into the market. 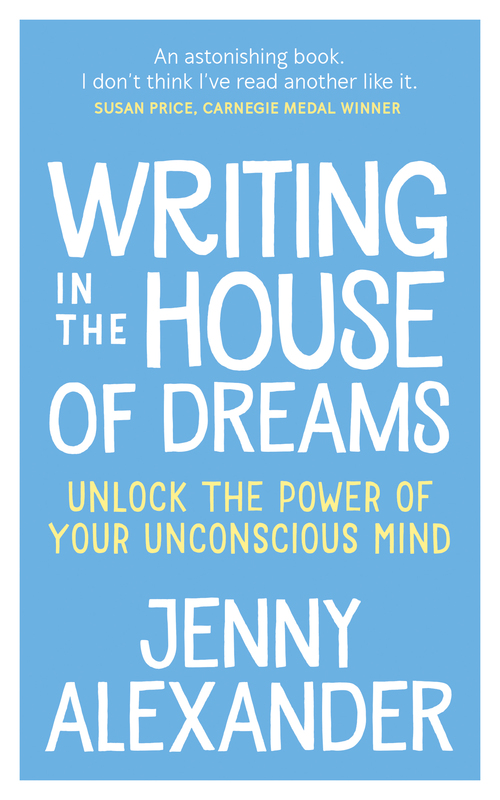 I know ‘Writing in the House of Dreams’ is a bit off-the-wall and ‘in many ways a brave book’ as one publisher rather unnervingly remarked, but I also feel that it’s good. I’ve worked for a reading agency and have a lot of writing experience now, and my own judgement has been backed up by the half-dozen authors, psychologists and dream-workers who have read it. I’ve been working on it alongside my children’s books ever since I was first published; it’s my child-of-the-heart book, the secret pearl I’ve been feeding with all the writing skills and experience I’ve worked so hard to build up. I know my book won’t appeal to millions of readers but hopefully it will appeal to some. Five years ago, no-one would ever have got to read it if no major publisher had taken it on and the MS would have stayed on my shelf forever, gathering dust. It would have felt devastating. 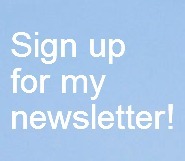 It’s better to have some readers than no readers at all – that is the point of self-publishing. It’s also better to carry on show-casing your work to publishers who may happen upon it on the web, rather than putting it away for several years before sending it out again. Now that authors can be publishers too we can write our passion in the reassuring knowledge that our work may still bloom surprisingly at the edge of a difficult market like a little poppy at the edge of a big field of corn. Just across the road from where I live, there’s a piece of woodland where I often walk. 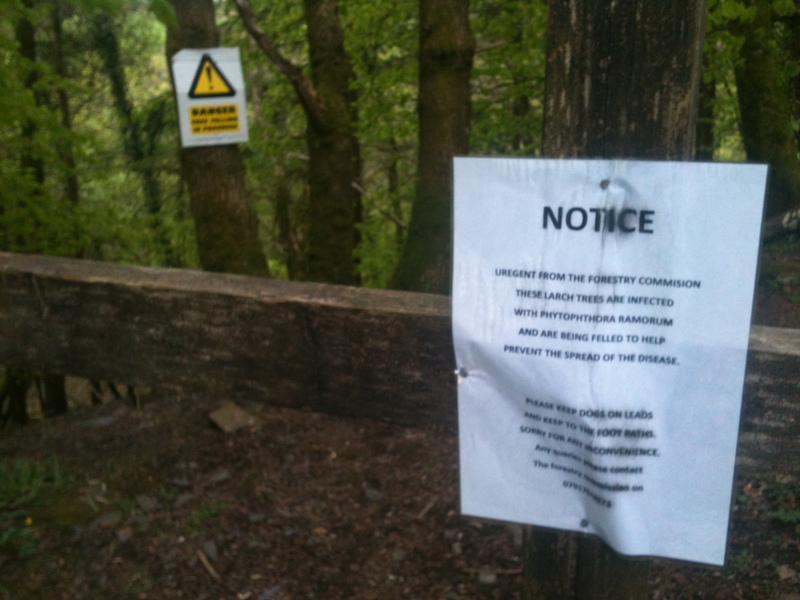 This morning, when I reached the stile, I found warning notices that tree-felling was in progress, to clear diseased trees. 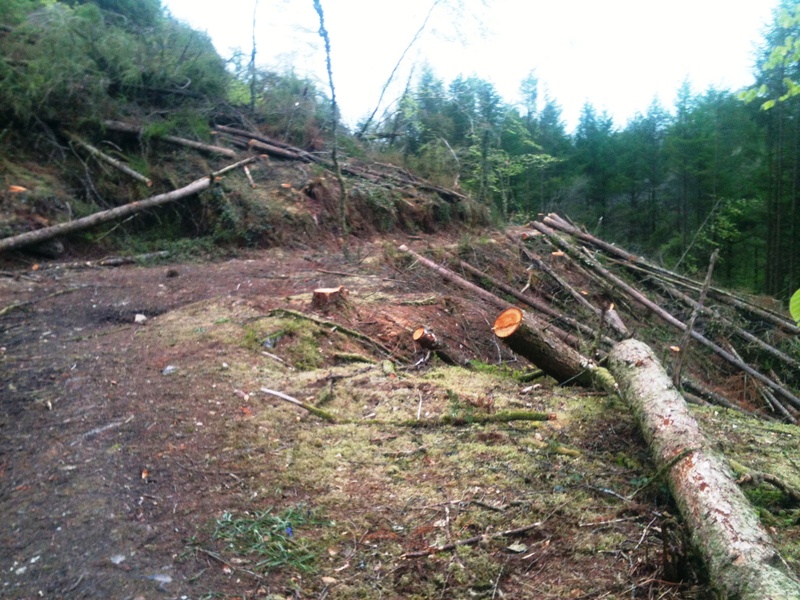 I was shocked when I saw the extent of the devastation, a long section of beautiful woodland around the path reduced to an ugly scar. Something about the angle of the felled tree trunks reminded me of the Tower card in tarot, and that made me feel better. I’ve been experiencing the Tower lately in my writing, with a story I wrote and submitted over a decade ago. Back then, it went as far as acquisitions with several publishers and was only rejected on grounds that they had already taken on new books on similar themes. So coming back to it, I knew the book was of publishable standard, and I wasn’t planning to do anything radical, just prepare the text for kindle. But on re-reading, I had a strong sense that I could write the whole thing better now, after this long delay of time. I copied the file and started chopping out the dead wood and carving up the action; then I started all over again, strengthening the voice, deepening the characters and restructuring the plot. For a while, I wondered whether I was actually just destroying a perfectly good story, but what’s grown from the wreckage is a far fresher, stronger and more satisfying novel. Hopefully the woodland near my house will soon begin its own regeneration. Have you ever had to ‘kill your darlings’ as a writer? Or been through a Tower time, when things have fallen apart but ultimately made way for something better? The ability to be playful is the nitty gritty – it’s the key to creating the dreamlike fantasies of fiction, and it’s an ability that many of us lose as part of the natural process of growing up and engaging with the ‘real’ world. Freud says we actually distance ourselves from the fantasies of our inner lives to the extent of feeling fearful and ashamed. The writer’s gift may be that in being able to sustain the playful attention and emotional attachment that children do to their dreams and fantasies, he or she provides an acceptable way for readers to indulge in the same activity vicariously. In overcoming their ‘grown-up’ rejection of the dreams and fantasies of their inner world, writers may also be giving a kind of permission for readers to explore and engage with their own. Years ago a tutor on a Society of Authors Arvon residential gave us a five-point character sketch, which I’ve used as a first way in ever since, although the fifth point always puzzled me. Choose a name for your character, bearing in mind that names carry information about, for example, age and social background. They also carry more subtle nuances, suggesting a kind of personality and way of being. I interpreted this as meaning something you would always associate with them – maybe a physical mannerism such as a limp or an affectation of speech, or something they usually had with them like a dog or cat, or favourite piece of jewellery. But I don’t think most people have a special object such as that, so I always struggled to find one for my characters. 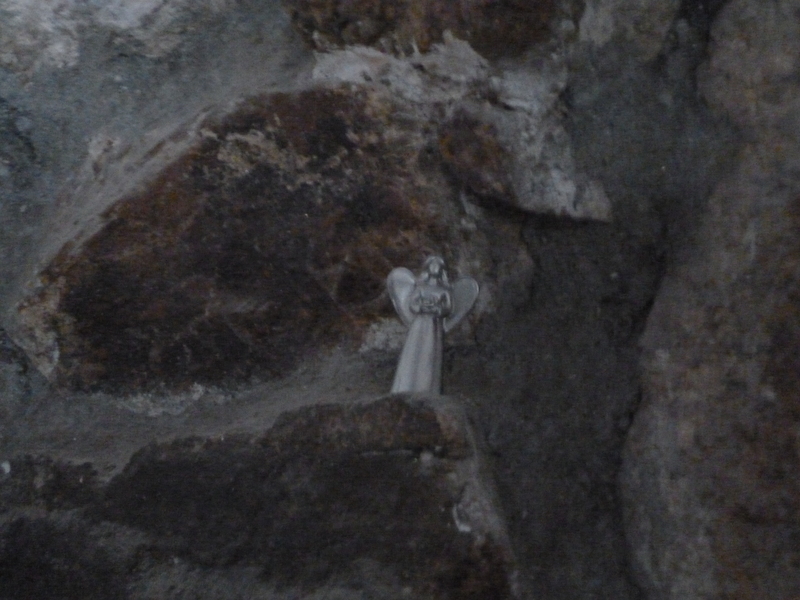 Then when I was tidying up after Christmas I was putting a fallen angel back into my fireplace wall when I suddenly thought, all these objects are special to me. There’s the penny-size Thomas the Tank Engine I found in the edge of the sea the summer I spent in the beach cafe writing Peony Pinker. The Christmas cracker car one of my kids gave me when I was writing Car-mad Jack. The champagne bottle candle from a twenty-first birthday cake. The Incredible Hulk who was here in the house when I arrived, and the angel I found in a drawer in an empty house once when I was close to despair. The sewn heart a sweet friend I’ve never met sent to me last year. The teddy-bear my daughter won at the amusements arcade on a family day down at Looe. To mention but a few. And I suddenly thought of the five-point character sketch, realising that it doesn’t have to be one definitive special object. 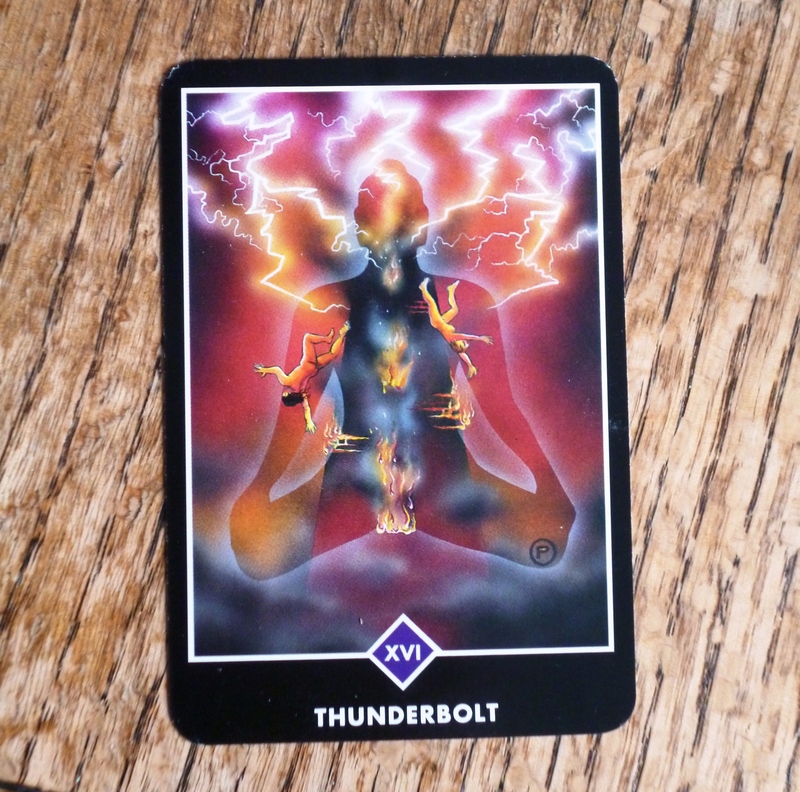 It can be any object at all that has emotional resonance and meaning for you. Any object my character feels is special to them will do for point number 5. 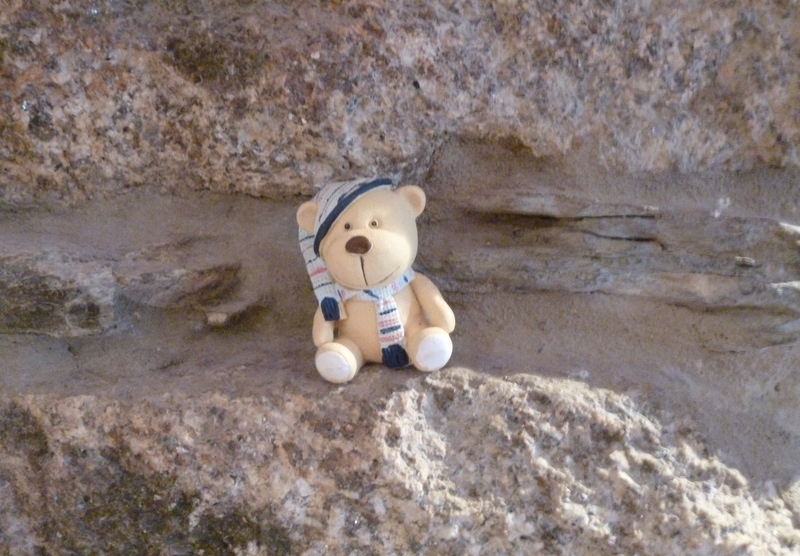 Or a scattering of small objects like the ones in my fireplace wall, which tell so much of the story of me. Last week, I posted the picture Paul Farrington gave me before Christmas. Somebody else has given me a gift recently that I’ve been contemplating, and that was the dream therapist, Brenda Mallon. She generously read the MS of my book, ‘Writing in the House of Dreams’ and gave me some really helpful feedback. Brenda’s feedback was helpful largely because it focused on what I had said about using dreams therapeutically – which I hadn’t even noticed I had talked about. It’s one of the mysteries of writing that you often don’t see everything that’s in a piece until it gradually reveals itself through other people’s reading. I had thought my book was purely about using dream material for creative inspiration, because that’s what my workshops are. In dreaming-and-writing workshops we don’t relate the dreams we share in any way to our waking life – that would feel intrusive and be as creatively inhibiting as setting out to write fiction by first trying to analyse where it’s coming from in ourselves and our lives. We use dreams purely as a creative resource. In this blog I’ve tried to steer away from interpretation and focus on dreams as creative resources too, but Brenda’s feedback has shown me that although I can easily narrow the focus in workshops, I haven’t done it in my book, I don’t do it in my life and I’m not really holding that line here on the blog. So I’m throwing open the gates. This year, I’ll be writing about dreams from every angle, including some thoughts on interpretation and an interview with Brenda on using dreams in therapy. 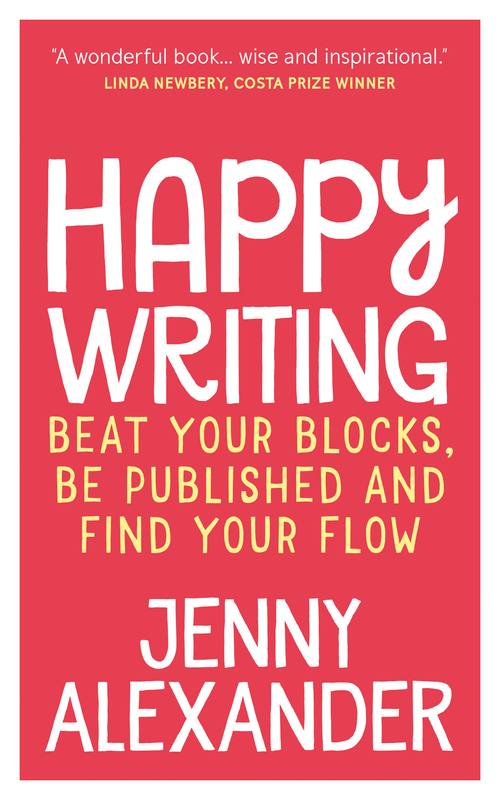 I’ll be doing some more general articles about writing too. After all, it doesn’t matter what we write – we’re always writing in the House of Dreams. Has a reader ever found something in your writing that you didn’t intend or realise were there?